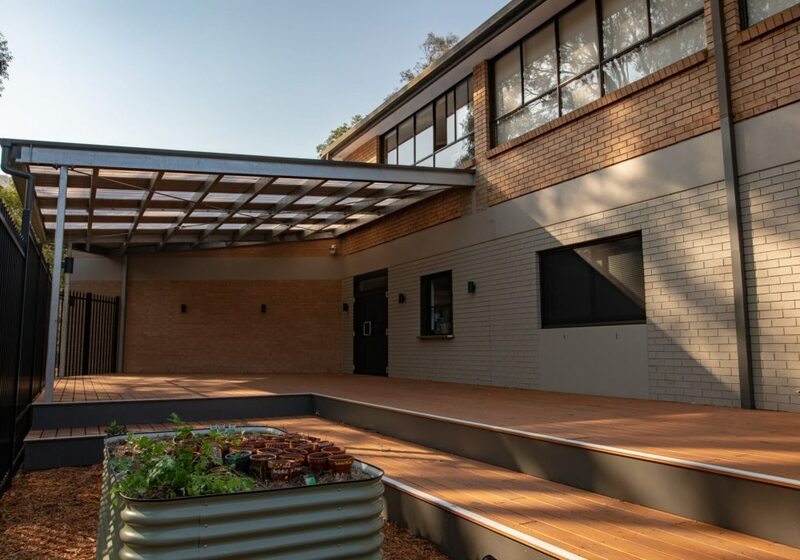 In completing an essential piece of its campus masterplan, Edmund Rice College has constructed a new Vocational Education and Training (VET) Hospitality facility in its developing Technological and Applied Studies (TAS) precinct. The school took the opportunity to refurbish two TAS learning spaces to provide them with the technology and functionality demanded in 21st century STEM learning facilities. 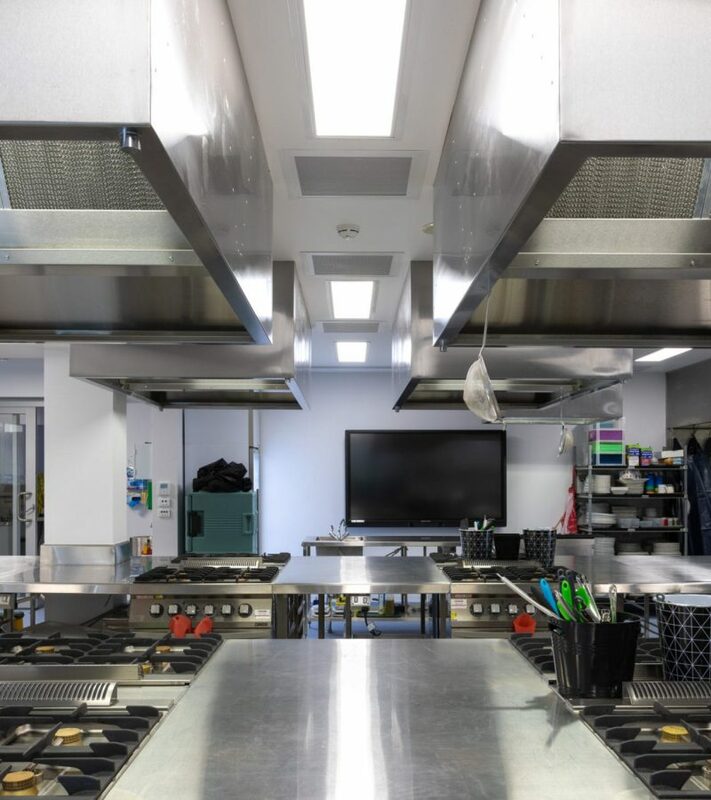 The Hospitality space needed to be designed to meet the specific NSW VET Hospitality curriculum requirements in terms of layout, commercial fitout and equipment. 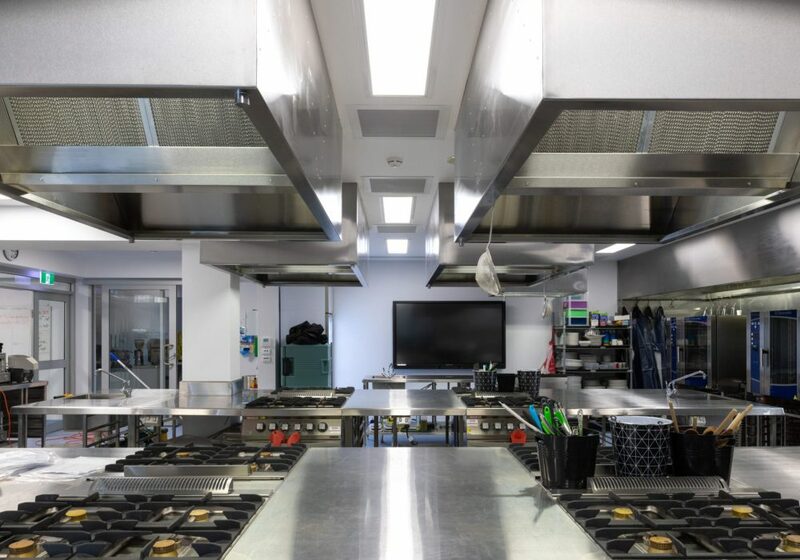 As a part of allowing students to partake in a complete training experience, apart from the Hospitality Kitchen, a café, service practise room and outdoor covered dining area are also provided. 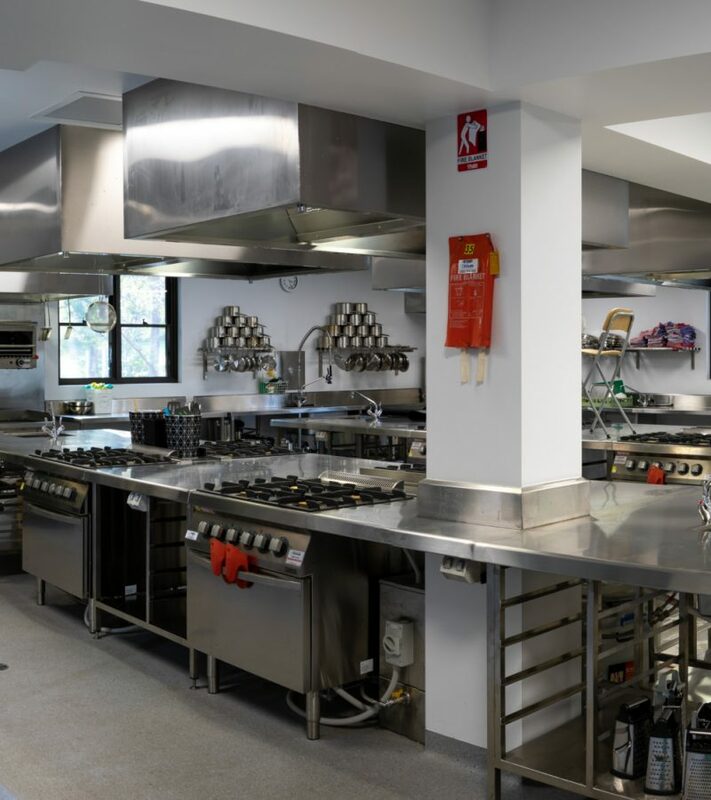 Furthermore, the outdoor area includes a garden for students to grow their own produce for use in the kitchen. 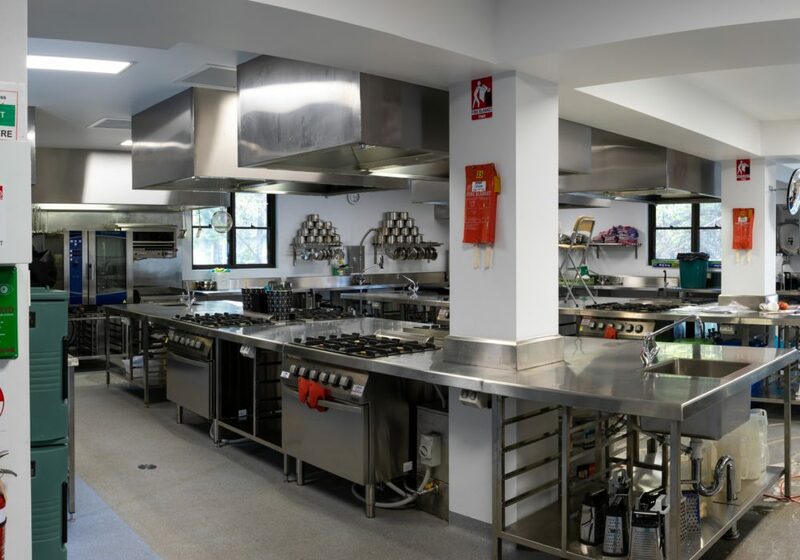 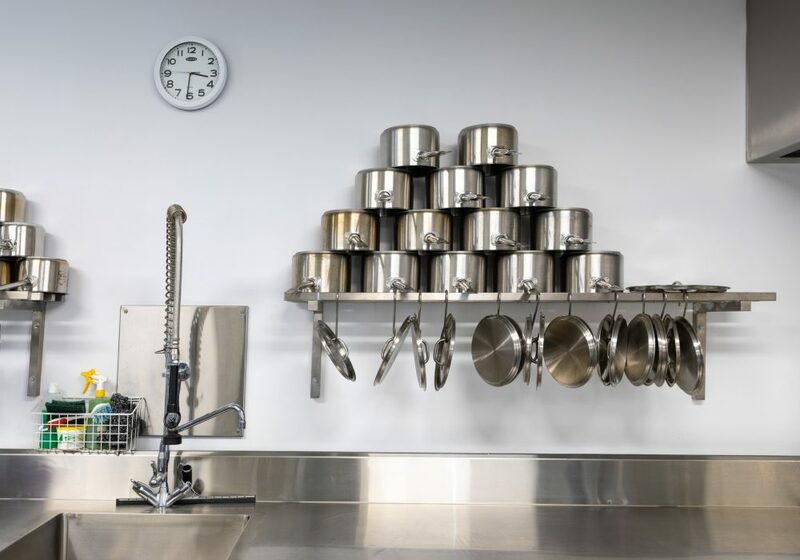 Existing spaces were adapted to suit the new requirements and an addition was constructed to include the necessary space and allow appropriate building services to be provided to the kitchen. 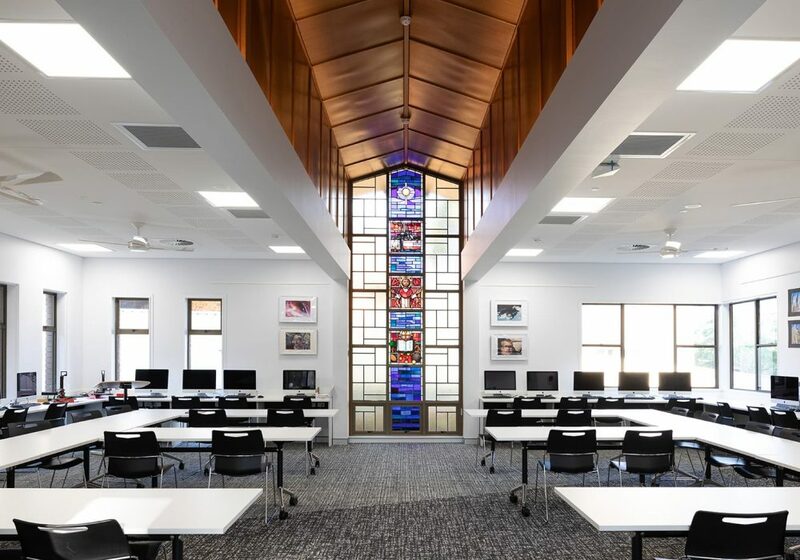 Two existing class rooms have also been refurbished to become TAS learning spaces. 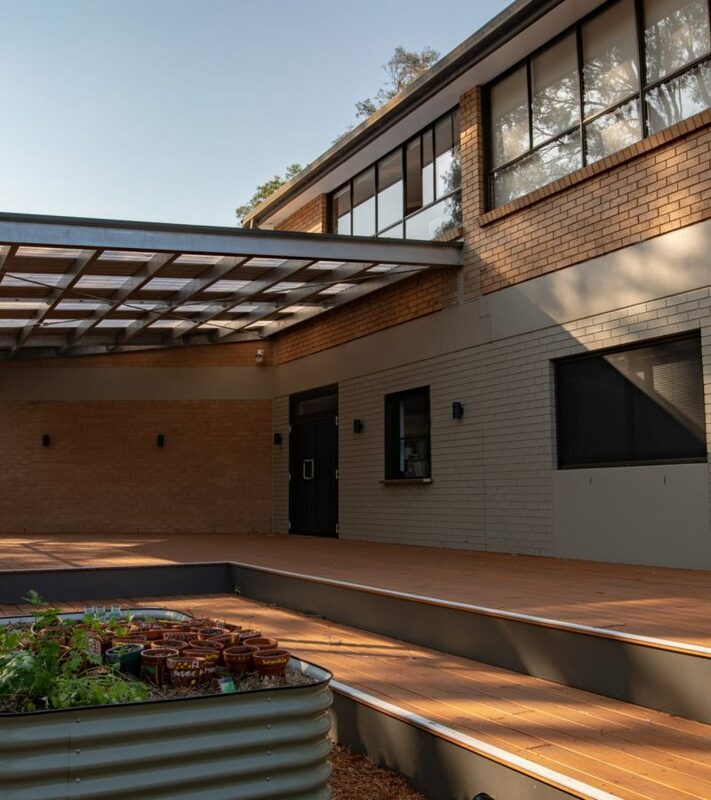 These areas incorporate sufficient power and data services to facilitate diverse STEM class programmes including robotics. 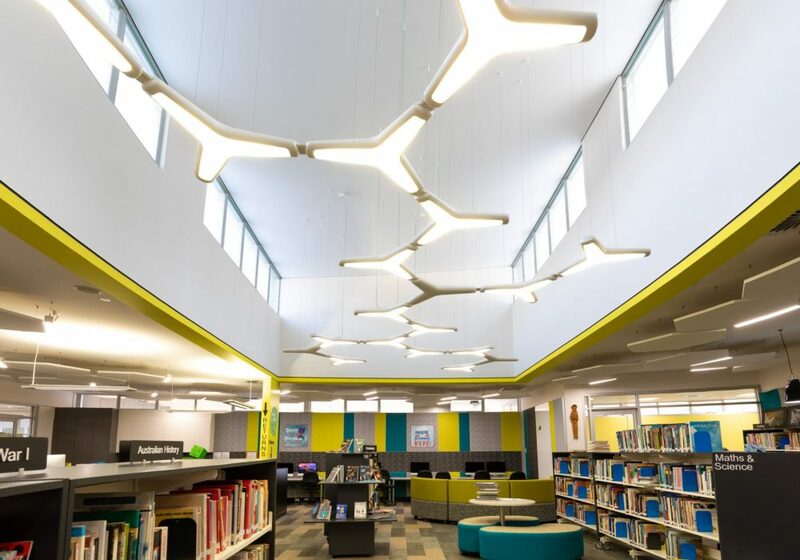 The flexible spaces are connected by dividing acoustic glass partitions and sliding doors. 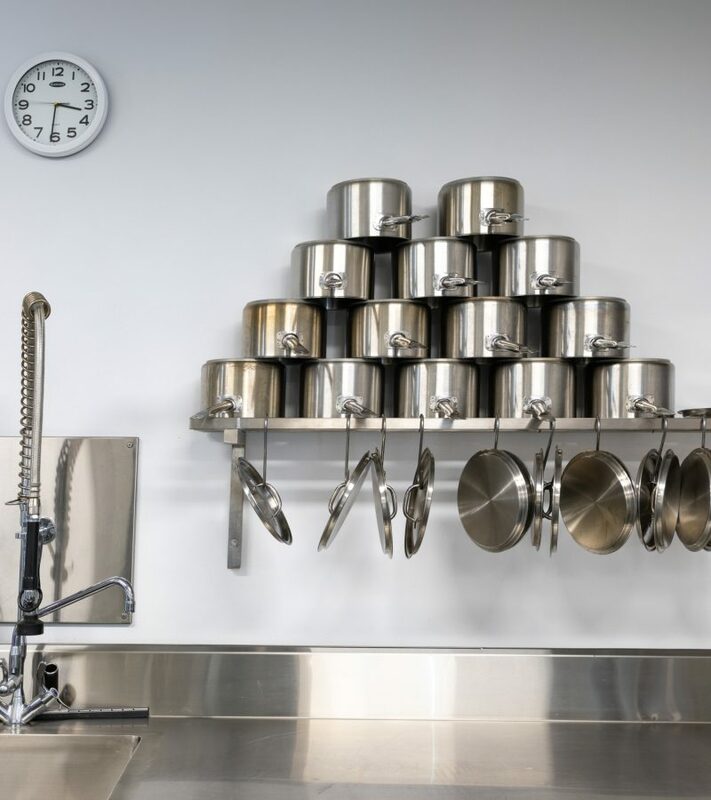 This provides the ability to have separate classes run concurrently or for them to come together as a single group for certain activities.